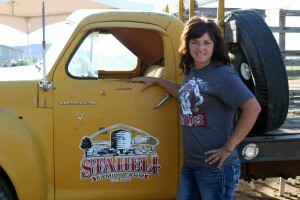 WASHINGTON — Staheli Family Farm has been a prized part of the community for more than five decades. Providing sought after fall festivities throughout the month of October like their winding corn maze, colorful pumpkin patch, and their spooky Field of Screams – still open for enjoyment all week – culminating in its “Bash Out Cancer” event on Saturday, means there is something to appeal to every member of the family; for those who haven’t gone yet, there’s still time through Saturday. With all of it’s successes, Staheli Family Farm does find ways to give back. The month of October is Breast Cancer Awareness month and the farm’s big end of the month event is Bash Out Cancer, which actually takes place Saturday, Nov. 1. People bring back all their old pumpkins, put them into a big pot, and smash them all together. 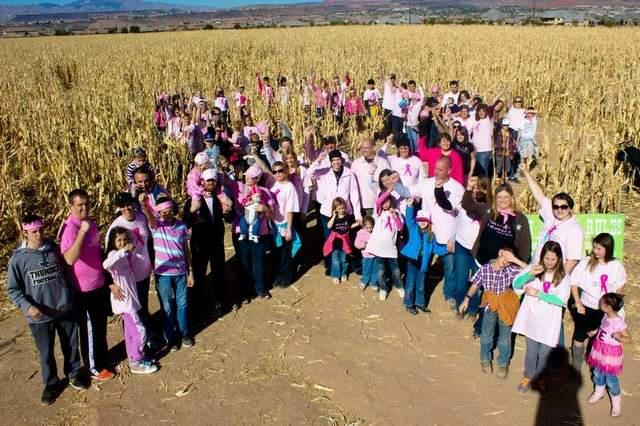 For each pumpkin smashed, the farm donates $1 to breast cancer research. Fourth generation owner Sherrie Reeder loves providing people with a place to come back to every year with their family and friends. Reeder’s great grandfather relocated his vegetable farm to the Washington location in the late 1950s. Since then, the farm has consistently grown and expanded to provide the community with a truly unique farming experience. While many people may know Staheli Family Farms as a premier October fun spot for family activities and entertainment, Reeder strives to provide more, recently adding educational youth programs as well. During the early October days the farm buzzes with activity, and it’s not just the honeybee hives. 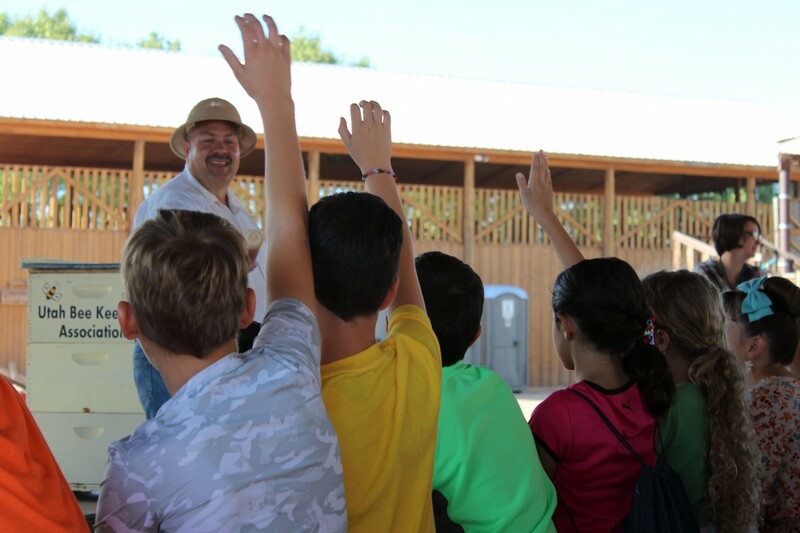 School groups take part in agricultural tours and lessons to learn more about where the food they eat comes from — something Reeder says is important to share with the public. She believes agricultural awareness is something everyone should know about, she said. Over time, the farm expanded from growing vegetables, to raising beef cattle, to building their admired corn maze in 2001. In its debut season, the corn maze brought in a whopping 10,000 guests. Surprised but motivated by its success, Reeder directed her concentration to bringing more attention to the farming aspect. The answer to Reeder’s inquiry is simply: A lot. Aside from the fall events, Staheli Family Farm now offers activities year-round, truly making it a farm for all seasons. They provide a live nativity in the winter, Easter egg hunts in the spring, and a Farm Camp for kids in the summer — just to name a few. With a wide collection of farm animals, antiques, and breathtaking scenery, the farm truly offers an all-around authentic agricultural experience. Some people love the farm’s energy so much, they even choose it as their wedding venue. Staheli Family Farm is always imagining new ways to bring the community together through fun events while simultaneously promoting agricultural awareness. Agritourism is recognized as a business in Utah, and Reeder works hard with Washington City to create ordinances and set a standard. Anyone looking for an exciting farm experience should consider visiting Staheli Family Farm.